I was lucky enough to witness two beautiful weddings for two lovely brides this summer. One was my niece and the other a very special friend’s daughter. 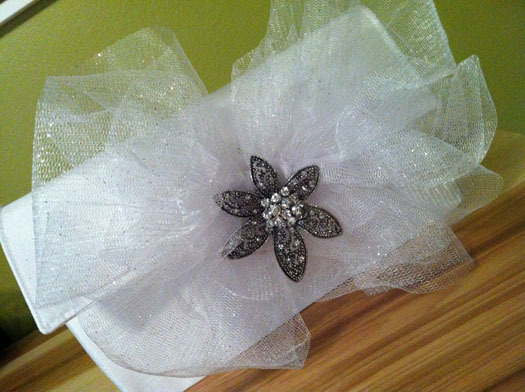 A bridal purse seemed like the right thing to make for each of these wonderful young women. 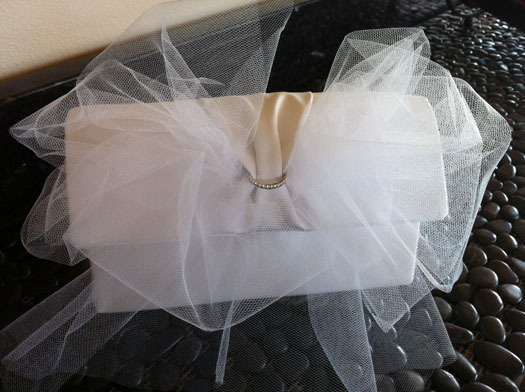 I took inspiration from some ready-made purses, Amy Butler (the queen of bags) and, of course, the two brides. Satin and silk are nice choices for fabric. Both brides wore very feminine dresses and their purses had to reflect that romantic look. 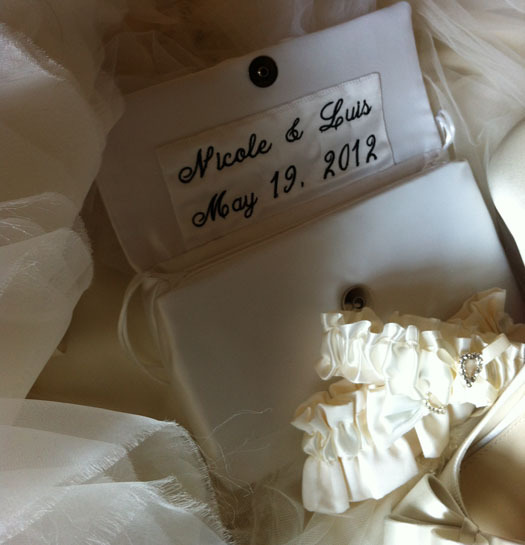 I added tulle for a frilly touch to Nicole’s bag, cinched with a wedding band. 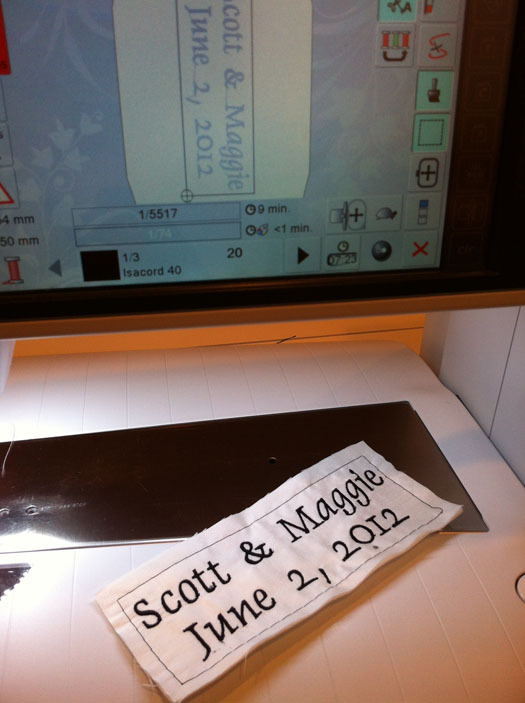 The bride and groom’s names with their wedding date were embroidered on some extra fabric and appliquéd inside the flap. Maggie’s bag had some tulle with glitter to reflect her dress fabric. An antique brooch dressed up the purse and added some sparkle. If you have a brooch from someone special, it would add great meaning for the bride. 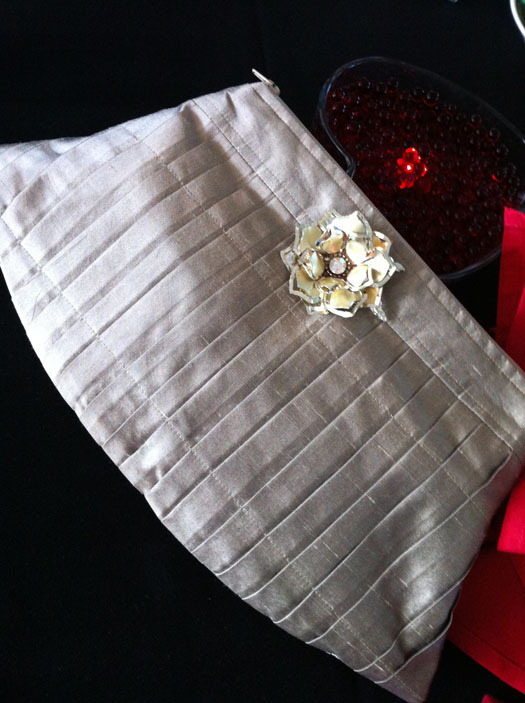 If not, thrift stores are another good option for costume jewelry such as the one on this silk clutch. Patterns are adapted from the book, Amy Butler’s Style Stitches. Specialty feet used: Edgestitch Foot #10 and Straight Stitch Foot #13, plus Embroidery Foot #26 for the machine embroidery.